Sooo.....the Raptors have lost three straight including a close one against the Bulls, the Bucks and another tough loss against the Brooklyn Nets on Tuesday night. 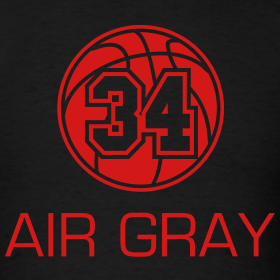 Aaron Gray got the start against the Nets and the centre who averages 2.1 ppg....threw down a vicious dunk that got the Raptors bench to geek out hard. Check it out. 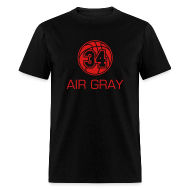 We love this dunk so much.....we created a new "AIR GRAY" t-shirt for all of you to enjoy. Get one now!